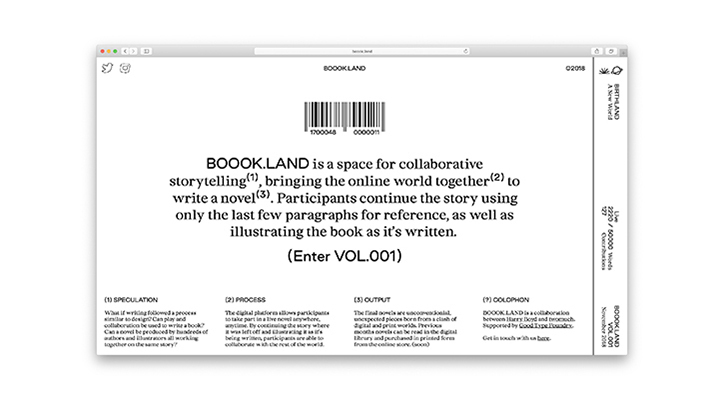 Inspired by the popular National Novel Writing Month project — which has aspiring writers around the word producing a 50,000 word manuscript in the month of November — Boook.Land is one of the most engaging and original digital writing schemes in a while. Developed by three London-based creative types— Harry Boyd, Ben Chan and Malone Chen— the online project allows users to collaboratively produce a novel in real time. 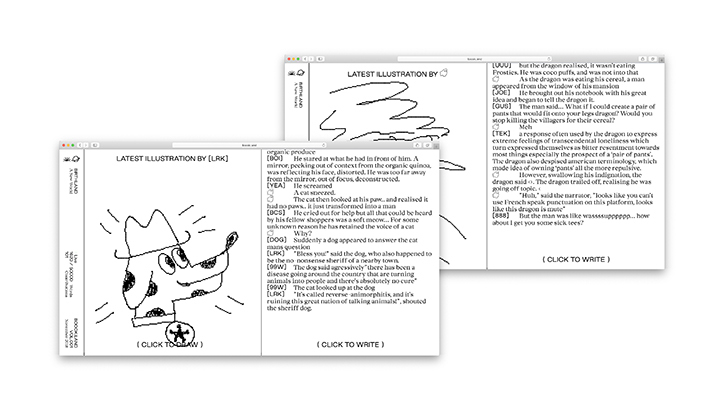 When you log-in to the Boook.Land you will be shown a continuous scroll of participant-generated text, along with the option to add your own writing or illustrations to the work in progress. The creators plan to print the finished novel at the end of November and of course keep a digital presence. So you have a couple of weeks left to get on board. This entry was posted in Art, Books, Europe, Tech, Writing and tagged National Novel Writing Month, novelists. Bookmark the permalink.